May 30, 2018, 9:30 a.m.
Drug policy has often been considered a “third rail” issue in British politics. While some have been more willing to propose a change in policy recent years (e.g. the Liberal Democrat’s floated the idea of cannabis decriminalisation in their most recent manifesto) there is still a fear among many politicians that taking it up as a political issue will lead to repercussions from a hostile electorate. However our latest polling shows the public actually have quite liberal attitudes on this topic. When you ask a straight up question on the legalisation of cannabis, the public are almost equally divided: 43% support legalisation and 41% oppose it. The remaining 15% don’t know. But a simple question like this covers up more nuanced views – not least because drugs policy doesn’t have to be a black and white choice between prohibition and legalisation. Some suggest a third way where substances are decriminalised, meaning that while their sale and possession remain illegal but it is regarded as a minor offence (akin to parking in the wrong place) rather than a criminal one. When you ask the public to choose between these three options, just under a quarter (24%) support decriminalisation and just over a quarter (27%) support legalisation. This compares to four in ten (40%) who think the current policy is best. So although the current policy comes out highest on its own, when combined a majority (51%) back a more liberal policy, whether it be legalisation or decriminalisation. There has also been some discussion recently about the policy towards cannabis for medicinal purposes, with multiple trials proposed for using it to treat conditions such as epilepsy. On this issue the public are overwhelmingly supportive, with three quarters (75%) thinking that doctors should be able to prescribe cannabis for medical purposes compared to just 12% who think they should not. Perhaps one reason why the public holds these views is because they don’t believe cannabis to be that harmful in the first place. 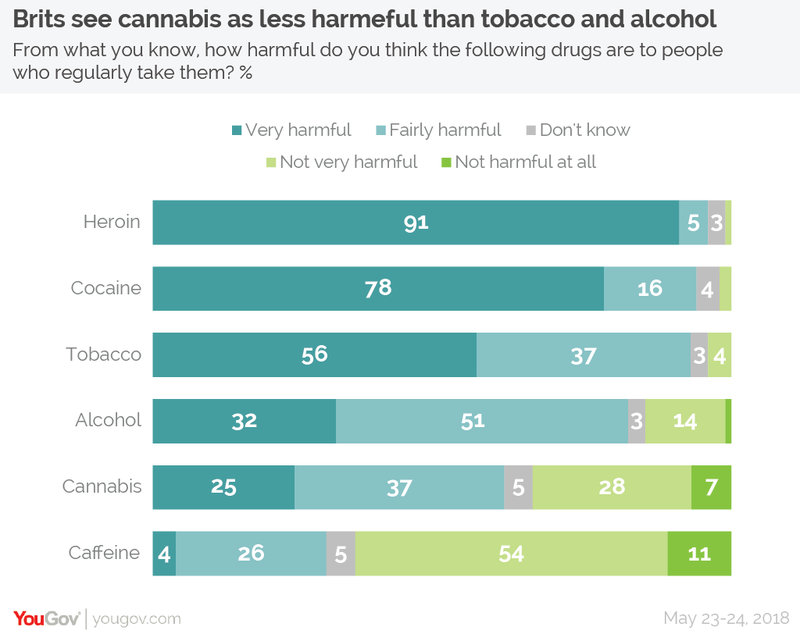 Just over six in ten (62%) think the substance is harmful to people who regularly take it, with a quarter (25%) categorising it as “very” harmful. This might sound like quite a lot, but it isn’t when compared to other – legal – substances. More than nine in ten (93%) consider tobacco to be harmful and a majority (56%) think is “very” harmful. While alcohol fares better (the figures being 83% and 32% respectively), it is still deemed more damaging than cannabis. It is worth noting that views on this topic are not consistent across all groups. 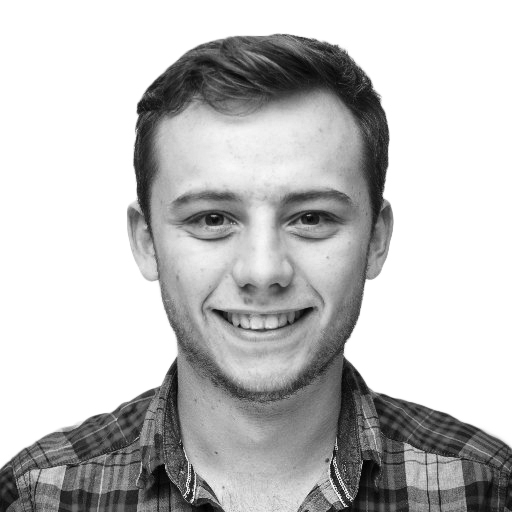 Whilst just 19% of youngest voters (aged 18-24) support the current policy, a majority (54%) of those in the eldest age group (those aged 65 or above) are in favour. 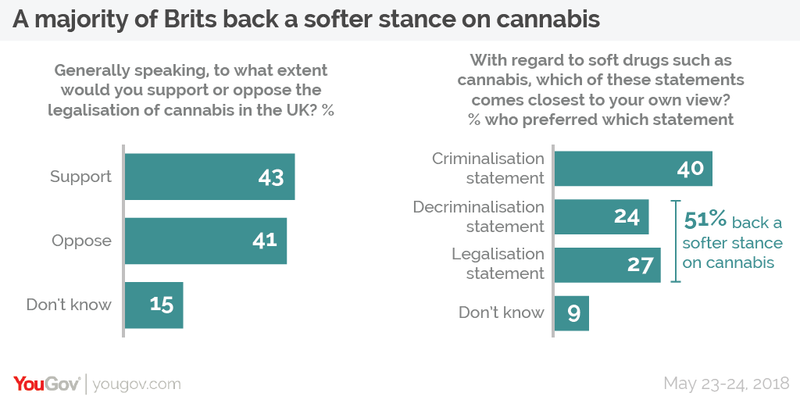 It is also worth noting that the public draw a distinction with harder drugs, with just 15% wanting to decriminalise or legalise the sale and possession of substances such as heroin or crack cocaine. Generally speaking, though, the public has a more nuanced attitude towards softer drugs – such as cannabis – than is often perceived. So taking a more liberal stance may not receive the blowback that many politicians fear.